It really an "HOT NEWS" when google's new product which is an answer to facebook monopoly of social networking. But yesterday when "Experian Hitwise" one of the major market researcher release the news that the average time spend on Google + is 3% less than the previous week. As per the social networking standard , the percentage of the new visit should always be in the increasing path. Google+ had 1.79 million visits for the week ending July 23 where it had had 1.86 million visits in the previous week , They also said the average time on the site per user is also decreased. As per the understanding , this is not a mojor issue as the number of people registered in Google plus is approximate 20 million in the first 3 weeks of it release , and this count is the largest count in the history of the internet industry. Google also informed that more than 1 billion items are shared each day, which includes post , photos, videos etc.. But as per the industry specialist , the "Circles" is one of the amazing feature which users can use in different ways , which indirectly helps you to to share to different group. 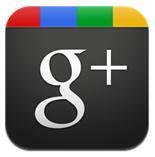 They have an plan of releasing Google Plus for Business, so that corporate can also involve in social.